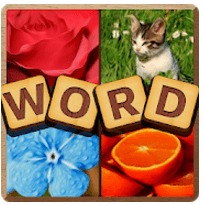 We will go today straight to show you all the links of levels answers of 4 Pics 1 Word Solve the Quiz package 4. a good word puzzle game that help english practice. Now, the links levels cheats are available for you in this topic you just have to click on the number of the requested level which are ranked from 1 to 50 , take them and follow the next pack answers. BitMango is the developer of this game and this word puzzle game is one of the difficult that exist in the play store. At the same time, it is very interesting. So as not to make you wait too much our team has already prepared for you the links of levels answers for the next package : package 5 Answers .